During the panel at San Diego Comic-Con, The CW released the first The Flash season 5 trailer which you can watch in the player below. Season 5 of The Flash premieres on Tuesday, October 9, on The CW. 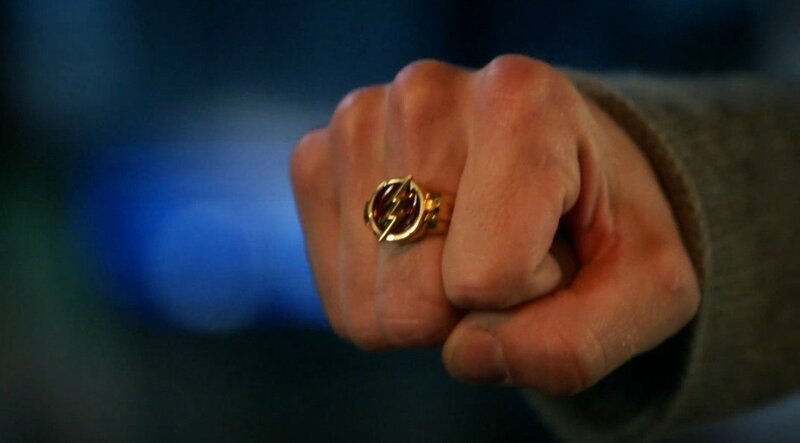 Matching wits with The Thinker, who by season’s end had harnessed the powers of all twelve bus metas he created, stretched Team Flash to their limits, but with the help of some new allies, Barry Allen (aka The Flash) and company were able to put a stop to the Enlightenment and save Central City once again. However, with the arrival of Barry and Iris’ speedster daughter, Nora, who arrived from the future admitting to having made a “big mistake,” things are anything but status quo. Will parenthood be the challenge that finally slows The Flash down? The Flash stars Grant Gustin as Barry Allen/The Flash, Candice Patton as Iris West, Danielle Panabaker as Caitlin Snow, Carlos Valdes as Cisco Ramo, Hartley Sawyer as Ralph Dibny, Jessica Parker Kennedy as Nora West-Allen aka the speedster hero XS, Danielle Nicolet as Cecile Horton with Tom Cavanagh as Dr. Harrison Wells, and Jesse L. Martin as Detective Joe West. Based on the characters from DC Comics, The Flash is from by Bonanza Productions Inc. in association with Berlanti Productions and Warner Bros. Television, with executive producers Greg Berlanti, Sarah Schechter and Todd Helbing. The post Comic-Con: The Flash Season 5 Trailer Moves Forward appeared first on ComingSoon.net.